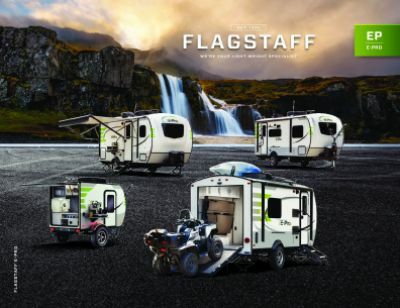 Venture into the wilds with the reliable, spacious, and beautiful 2020 Forest River Flagstaff E-Pro 19FBS Travel Trailer! Tradewinds RV Center in Clio Michigan is known for being one of the premier, full-service RV dealerships in the nation, offering top brand RVs at wholesale prices! We deliver anywhere in North America with fast, reliable 24/7 delivery service right to your door! Stop in and see us today at 4325 W Vienna Rd Clio Michigan 48420 and our courteous, knowledgeable staff will help you find your dream RV at an amazingly low price! Give us a call at 810-686-0710. 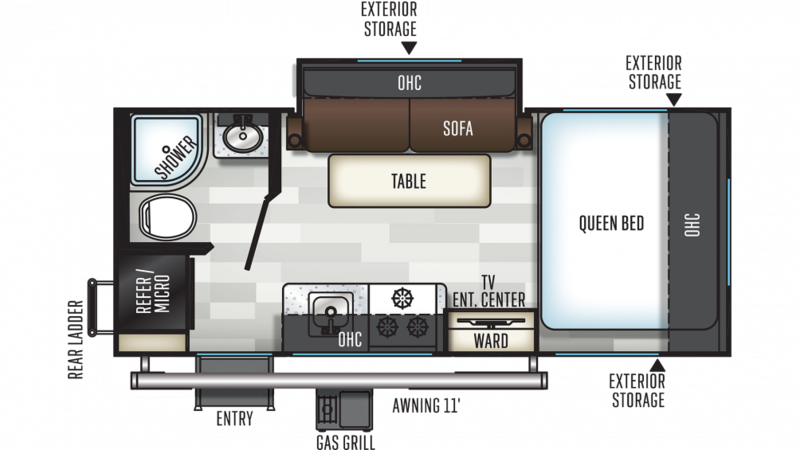 You'll save $1000s, and we'll have you in your dream RV and on the road to fun before you know it! Place your camping chairs and picnic table under the shade and protection of the 11' 0" awning to avoid nasty sunburns and getting rained on! Long distance road trips are not an issue for this reliable RV, especially with its hitch weight of 413 lbs. and GVWR of lbs. Stay nice and cozy inside this RV with the 20000 BTU furnace and the 13500 BTU a/c. This 20' 0" long, 7' 4" wide, and 9' 7" high Travel Trailer has 1 slides that max out the interior space.